with sauna, whirlpool, fireplace ... u. V. M.
Rügen, the largest and perhaps most beautiful German island, has an abundance of holiday offers for its visitors at all times. Visit our exclusive house, "Villa Hügel 222", in the beach park Baabe. 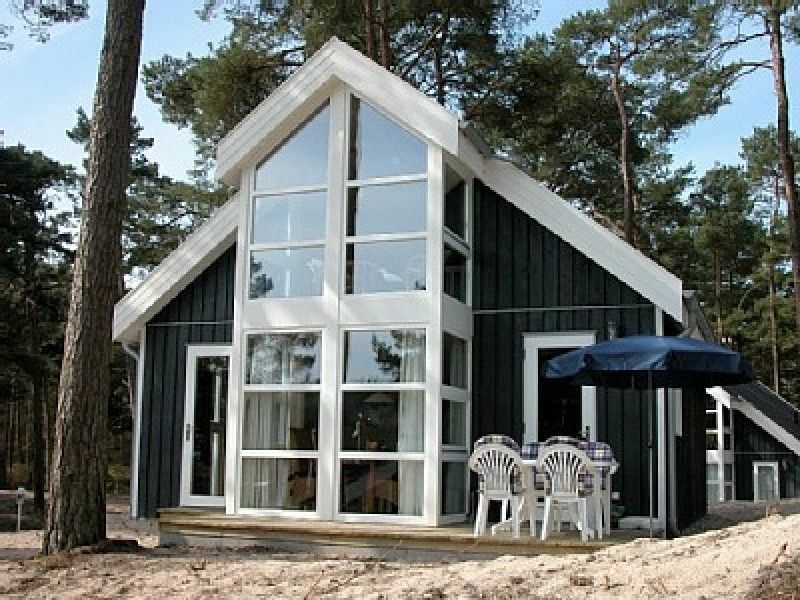 Only 100 meters from the beach you have a beautiful view of the Baltic Sea from our luxurious house on the hill. 20 steps in front of the front door the Baaber Heide invites to walks. Our house offers you a lot of comfort. Additional features include sun loungers, 2 TVs, high chair, cot, DVD player u. V. A. m. For the safety of the little guests ensure child-safe sockets and a stair gate. In the kitchen even ambitious home cooks will find everything their heart desires. An insider tip is the winter season. After a long hike in the freezing cold, enjoy the comforting warmth of our sauna and whirlpool (with lighting). How about a hot buckthorn punch in front of the crackling stove? You are always welcome! On the gallery there is another sleeping possibility (1.40 x 2m) for 2 persons. There are 2 TVs available. Terrace, 6 garden chairs, 2 beach chairs available. In the winter months, underfloor heating ensures a 'feel-good climate'. Shower, sauna and jacuzzi in the wellness bar. There are 2 TVs available. underfloor heating From April to September you have a beach chair at the house! Villa Hügel is only a 10-minute walk from the small Baltic resort of Baabe. There you will find a long beach road, with lots of small shops, restaurants and cafes that invite you to stroll and linger. A rich spa and sports facilities are also available. Water rats and sunbathers get their money's worth on the long, wide, white sand beach. The water is only gently sloping and therefore a paradise for children. If you want, you can rent a beach chair here, or take a beach walk to the Sellin pier. There you will be rewarded with coffee, cake and a view over the wide sea.